1.Made of Aluminum material, corrosion resistance and long life. 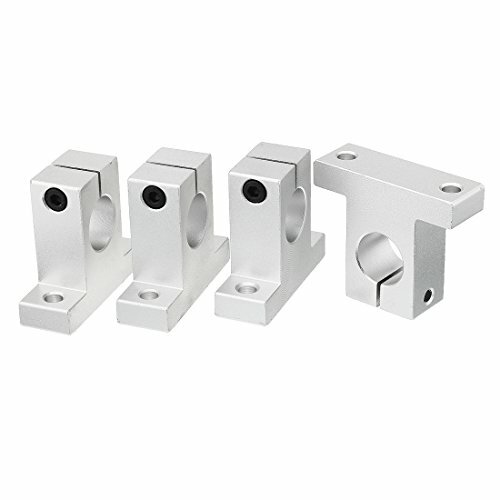 2.SK8 Bore Linear Rail Shaft Guide Support for XYZ Table CNC. 3.Low friction resistance can get high precision rotating in the smooth movement. 4.Application: Widely used in home appliances, industrial, and high speed electric motors, construction machinery, automotive components, pumps, and machinery. Made of Aluminum material, corrosion resistance and long life. Low friction resistance can get high precision rotating in the smooth movement. Widely used in multi-axis machine, installed the sliding parts such as industrial machinery.